In 2014, Stephen Ross decided to bring in former New York Jets GM Mike Tannenbaum as a consultant, only to promote him to executive vice president of football operations shortly thereafter. At the time, many fans and members of the media were skeptical, me included. Tannenbaum didn’t exactly come to Miami with a sterling reputation and when Miami was touting him as some sort of salary cap savant, there were even more eyebrows being raised. During Tannenbaum’s time in New York, he was known for making splash signings and trades that rarely translated into success on the field. He loved to bring in high priced, declining players and when faced with going over the salary cap, would turn player’s salaries into signing bonuses. This would free up cap space in the short term, while subsequently making it almost impossible to get out of under-performing player’s contracts due to all the dead money they would be faced with absorbing if cut or traded. Sound familiar? The Jets decided to move on from Tannenbaum in 2012 after all his high profile moves left them with bloated salaries and little success on the field. As a parting gift, Tannenbaum left New York in salary cap hell, which took the Jets years to get out from under. Why Stephen Ross thought Tannenbaum was worth bringing in as a consultant with this track record, let alone making him head of football operations is beyond me. The one positive that we can take from this is that Tannenbaum left his successor, Chris Grier, the perfect blueprint on how not to run a franchise. Below are some of the moves that Tannenbaum made during his tenure that I believe most contributed to the current state of the Dolphins and are key reasons as to why Miami is in full-blown rebuild mode. 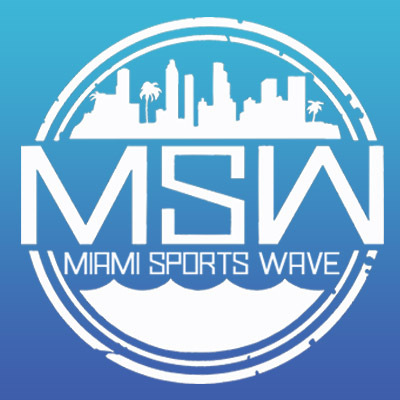 Ndamukong Suh – This isn’t to say that Suh wasn’t a great player in Miami, he absolutely was. The problem was that Suh was never going to live up to his massive six-year $114 million contract. That’s the type of contract only franchise quarterbacks and elite pass rushers can live up to, both of which do not apply to Suh. Only Von Miller ($114.5m), Aaron Donald ($135m), and Khalil Mack ($141m) have signed larger contracts than Suh that are on the defensive side of the ball. All three players have the ability to completely take over games and consistently pile up 10+ sacks year in and year out. Suh has accumulated such a season exactly once, his rookie year in 2010 when he had 10 sacks. While he may have been a great player, he is not the type of player that a franchise should hamstring its salary cap for, which is exactly what Tannenbaum did when he made this signing. Restructuring Ryan Tannehill’s contract – Due to Tannenbaum’s terrible cap management, he was forced to restructure Tannehill’s contract to free up cap space for the 2018 season. Oh yea, this was also after having to release the aforementioned Suh only halfway into his massive contract in order to get under the cap. By turning the majority of Tannehill’s 2018 salary into a signing bonus, Tannenbaum freed up $11m for 2018, while subsequently kicking the can down the road and adding the money saved into guarantees for the remaining years on his contract. 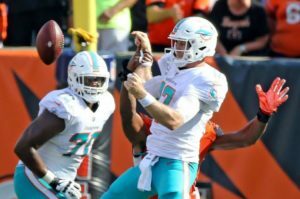 Before the restructure, Miami could have released or traded Tannehill penalty free after 2018. With the restructure, cutting or trading Tannehill will result in a dead money hit of $13.4m in 2019 if Tannehill is cut or traded. All signs point to Tannehill not being on the roster next year, so Miami will be on the hook for $13.4m in dead money due to Tannenbaum’s poor cap management. That money could have been used to sign a guard to shore up the offensive line or a linebacker that can cover in space, but instead it will be allocated to a player that is not even on the roster. Andre Branch contract extension – In 2016, Tannenbaum signed Branch to a one-year deal after being a relative draft bust for the Jacksonville Jaguars. During his time in Jacksonville, he averaged just over three sacks a year after being selected in the second round of the 2012 draft, not exactly numbers you want out of a starting defensive end. For only $3 million, the one-year deal seemed like a justifiable risk to spend on a player Miami hoped could finally turn into the player he was expected to be coming out of the draft. Branch went on to have a decent season, notching 5.5 sacks while also playing the run adequately. Not lighting the league on fire, but enough to deserve a slight pay raise. Tannenbaum responded in his typical fashion and wildly overpaid for a player after one average year by making him one of the highest paid players on the team and giving him a three-year, $24 million extension. To put that number in perspective, 52 other players that year had 5.5 sacks or more. While 52 other players were putting up the same or better sack totals, Tannenbaum went ahead and made him the 17th highest paid defensive end in the NFL. Since signing his extension, Branch has gone on to accumulate just six sacks in two seasons and is a pretty safe bet to be one of the first roster cuts of the new regime before the 2019 season. 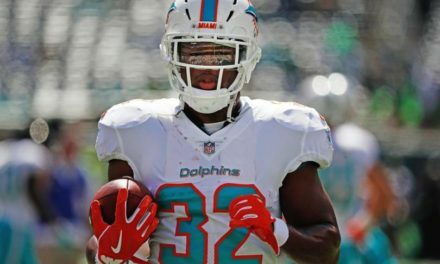 Reshad Jones and T.J. McDonald paring – When Tannenbaum decided to sign T.J. McDonald to a one-year, $1.3m deal in 2017, it was viewed as somewhat of a luxury signing. After all, McDonald plays the same position as Pro Bowl strong safety Reshad Jones, who signed his own five-year, $60 million extension, making him one of the highest paid safeties in the league. Not to mention McDonald would be suspended for half of the season for violating the NFL substance abuse policy. When the signing initially happened, the thought was that he would provide depth at strong safety and maybe play some Nickle and Dime linebacker at times. McDonald is a big safety who plays his best in the box and not when tasked with playing deep coverage, just like Jones. No way was the plan to play both Jones and McDonald at safety together, sacrificing coverage for better run support in a pass happy NFL. Well, apparently that was the plan and Tannenbaum was so confident in this plan that he signed McDonald to a four-year, $24 million extension before he was even finished serving his suspension. No need to see how Jones and McDonald would complement each other once his suspension was up, Tannenbaum thought it was a good idea to sign him to a lucrative extension without seeing the tandem together in a single meaningful game. Not surprisingly, Miami was constantly beat over the top this year with both Jones and McDonald at safety and if it weren’t for Xavien Howard being able to play so well on an island, things could have been a lot worse. With both safeties not offering a lot of cap savings if cut or traded, it wouldn’t be a surprise if both players remained on the roster next year, but don’t expect to see them playing in tandem much under new head coach Brian Flores. Minkah Fitzpatrick is expected to be the starting free safety next year, with Reshad Jones at strong safety if retained. We may finally see McDonald play some Nickel and Dime linebacker, much like Flores used Patrick Chung in New England. So far, McDonald hasn’t lived up to his contract, let’s hope Flores can help change that. 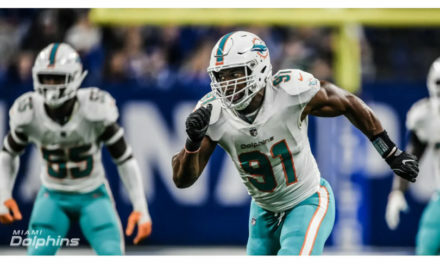 While these are the moves that I feel most contributed to the current state of the Dolphins, there are plenty more that could be mentioned as well. Drafting Charles Harris ahead of T.J. Watt and making Bobby McCain the highest paid slot corner in the league come to mind. Let’s hope Grier has learned from Tannenbaum’s many mistakes and helps turn the franchise around with smart drafting and solid free agent signings. Wow! Tannenbaum truly has put this team back at least 8 years. What a disaster! To be fair, Miami already had major cap issues before Tannenbaum came to Miami. Suh: He ADMITS other defensive linemen make similar and even more money than Suh. Suh impacts EVERY play, because he requires a double team. He was also 1st or 2nnd among DTs in sacks, tackles & tackles for a loss while he was in Miami. Pass rushers really only impact a few plays a game. Even in LA he was double teamed regularly next to Donald. Miami could have afforded Suh for what they took in a cap hit & what they paid Quinn. Tannehill: Pretty much was forced to move money back to stay under the cap. He could have restructured slightly better because Miami ended up $6 million under the cap anyway. Most teams would take a big hit cutting a starting QB with two years left on a contract. Branch: He’s spot on with this one. Jones & McDonald: They both beat Fitzpatrick out for starting jobs, the mistake was selecting Fitzpatrick in the first place! 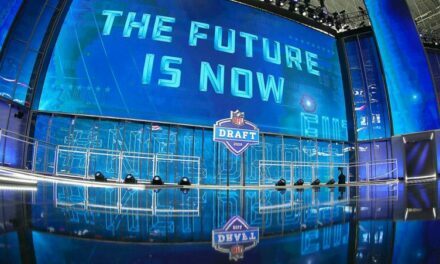 They should have selected Tre Edwards, or made the move Green Bay did in trading with the Saints and selected an offensive lineman. They could have re-traded the Saints 2017 pick down again. Jones was even a pro bowler at FS in 2017, so he can obviously play the position. Harris: Another mistake, but the bigger issue is that he doesn’t fit Miami’s system (at least the 2016-2018 one) Watt wouldn’t either. Plenty of teams wanted to trade up with Miami. Could have traded down here for an offensive lineman as well. Think how much better Miami would have been with a pair of starting offensive linemen in the middle that were capable & New Orleans’ first pick this year rather than Fitzpatrick & Harris. Add to that Suh instead of Quinn, and you are looking at a playoff team.